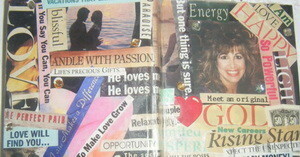 Home » Events » Create Your Vision Board Now! Let’s make some MAGIC for Your Love or Business Life. 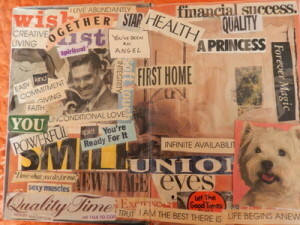 Create Your Vision Board Now! ONLY 2 Spots Left! to come make some magic for your Love and business life now! Note*** We will supply the Inspiration, the Boards, Glue, Scissors, various magazines and directions on how to do your board. It is a Fun Creative process, so bring a friend and play with us! There is Limited Space so Get Your Tickets Today! Join a fun group and CREATE and Design your new Vision for 2017! Renée is a ball of energy and direction! She’s a leader, a trainer and role model for many. She’s inspirationa, an excellent speaker and is an innovator with programming like her Love Reporter broadcasting. She handles special events with aplomb and is one of the most gracious people you’ll ever meet. It’s been my pleasure to work with her on my book The Vision Board and her aid and support in broadcasting and video and interviewing has made a real contribution to it’s success as a best-seller. I can’t wait to work with her again in the future!